We offer 24-Hour assistance with bail bonds throughout California, call 1-800-662-0056 . An agent will answer your call and help you with all of your bail bond related questions. We underwrite: Bail Bonds, Federal Bonds, Immigration Bonds, Surety Bonds, Appeal Bonds, 1275 Hearings and many other types of bonds and services. We provide service to the following cities in San Joaquin County: Acampo, Banta, Clements, Escalon, Farmington, French Camp, Holt, Lathrop, Linden, Lockeford, Lodi, Manteca, Ripon, Stockton bail bonds, Thornton, Tracy, Vernalis, Victor, Woodbridge and all surrounding areas. 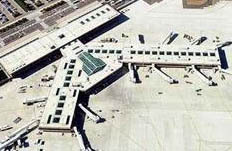 If your area is not listed please call us toll free at 1-800-662-0056. Premiere Bail Bonds of San Joaquin County provides you with bail bonds for the entire state of California. Get the information you need to retain a San Joaquin bail bondsman and learn how bail bonds work and have all your questions answered by a professional bail bond agent familiar with your case. We are professional, dependable and efficient when it comes to posting bail bonds in San Joaquin. We understand the importance of securing the release of an inmate quickly and do everything in our power to expedite the process. We are here to help you in your time of need. 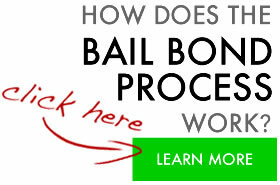 It is important when dealing with a bail bondsman that they are licensed in the state of California. 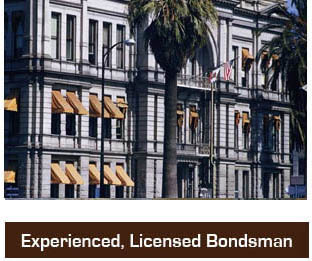 Bondsman are regulated by the California Department of Insurance. At Premiere Bail Bonds we have developed relationships with several attorneys throughout the state. Attorneys care about who their clients use for a bail bond company that is why they refer their clients to Premiere over other companies. For people that are too busy or are out of the area you may be able to post bail by phone or fax. This means you may never need to leave your home or office to post bail for someone. You might even be able to download the forms you need fill them out sign them and fax them to us at your convenience. This will help expedite the process. Often times you may have one or two bail agents working on your case at the same time. For a licensed bail bondsman in the San Joaquin are Call 1-800-662-0056. If your area is not listed above please call us as it is likely we have an agent there too. Our parent company has over 200 bail bond agents throughout California to serve you.